Positive: Nice display; good ergonomy; great built quality; low price. Positive: Nice display; decent hardware; beautiful design; long battery life. Negative: Slippery; easy getting fingerprints. Positive: Low price; decent cameras; nice design. Positive: Attractive design; nice display; good cameras. Negative: No quick charger. 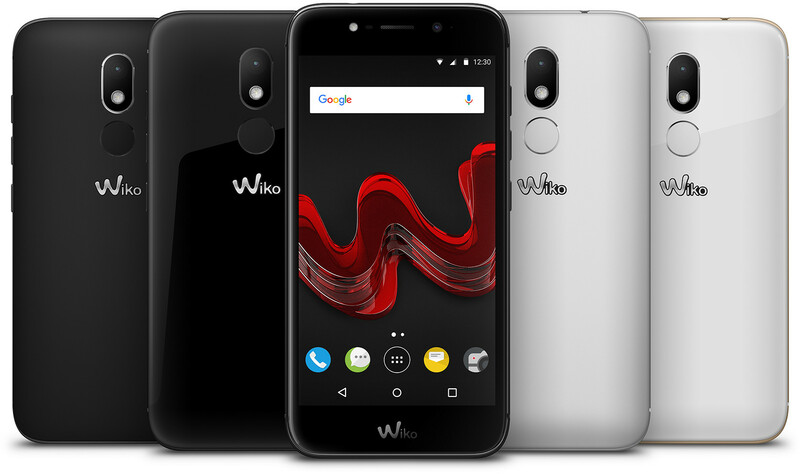 It seems that most manufacturers are producing lite versions of their mainstream products hoping to capture more market share and French android manufacturer Wiko is no different with the Wiko Wim Lite a cut down version of its older brother the Wiko Wim. Overall aesthetics remain the same with its higher spec-ed sibling with only changes to its hardware. Decking out its hardware is Qualcomms budget end Snapdragon 435, 3GB of memory and 16GB of internal storage which is the same with most manufacturers aiming for the budget sector. Overall chassis design is generally rounded with materials similar to its bigger brother, its generally a mix of metal and plastic with the metal being the frame and plastic for its back cover and Gorilla Glass for the display. The Wiko Wim Lite is still as glossy as its sibling which means users had better have a microfiber cloth with them if they wish to keep it free from fingerprints. Speaking of fingerprints, the fingerprint reader is located at the rear just slightly below of the camera. It’s really peculiar that most manufacturers seem to not want to integrate the fingerprint reader to the home button but then again it could be design limitations for the manufacturer itself. As with the Wiko Wim, the Wiko Wim Lite is equipped with a FHD IPS display which is still hard to come by for the given price bracket. Colors remain well calibrated and vibrant however blacks aren’t that deep. Overall the display does have reasonable contrast which is important to avoid blurry screens. Over at the camera department the Wiko Wim Lite is a little interesting in that the rear camera has a lower MP count compared to the front which are 13 and 16MP respectively. While it is generally understood that megapixel count isn’t everything its surprising that Wiko has focused more on the selfie camera as opposed to the rear camera most people would be shooting with. Under good lighting conditions the picture quality is reasonably good however under bad lighting conditions the camera does fall slightly short even with flash enabled it seems that the image quality does feel a little over exposed Because the Wiko Wim Lite is powered by a budget orientated Snapdragon processor users shouldn’t expect too much from the processor, while it will perform well under single task loads having multiple applications can cause the Wiko Wim Lite to slow down noticeably, however with the recent Android Nougat 7.0 being preloaded users can expect the optimizations included with the recent release to be less taxing on the processor. Despite that the included android is by no means vanilla as Wiko has included their own Wiko launcher and some preloaded bloatware. Finally, with battery life the Wiko Wim Lite is equipped with a 3000mAh battery which should get users by a normal working day with at least 10~15% charge on moderate to low usage, this might be a slight benefit of using a low-end Snapdragon as this means power consumption will also be low. Final verdict being if the older sibling is too much to spend on and you don’t have much expectations the Wiko Wim Lite is more or less acceptable but nothing special when compared to better choices out there.